We’ve been hearing snippets of Canadian DJ-producer-remixologist Ryan Hemsworth for a while now, but until last week hadn’t heard a track that stopped us in our tracks. 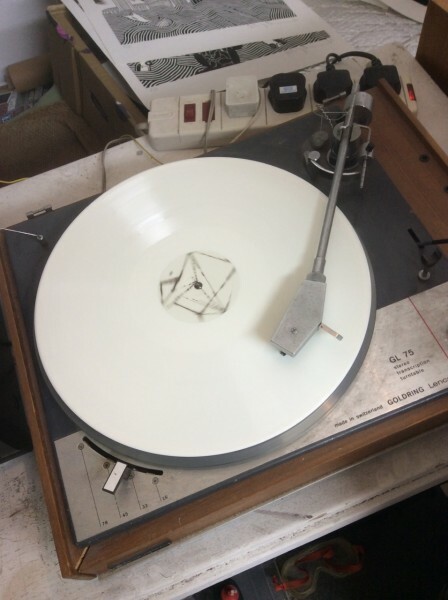 Last week Hemsworth released the superbly wistful Snow in Newark, the first single from his impending new album (let’s call it Secret Songs for now) coming out on Last Gang Records. 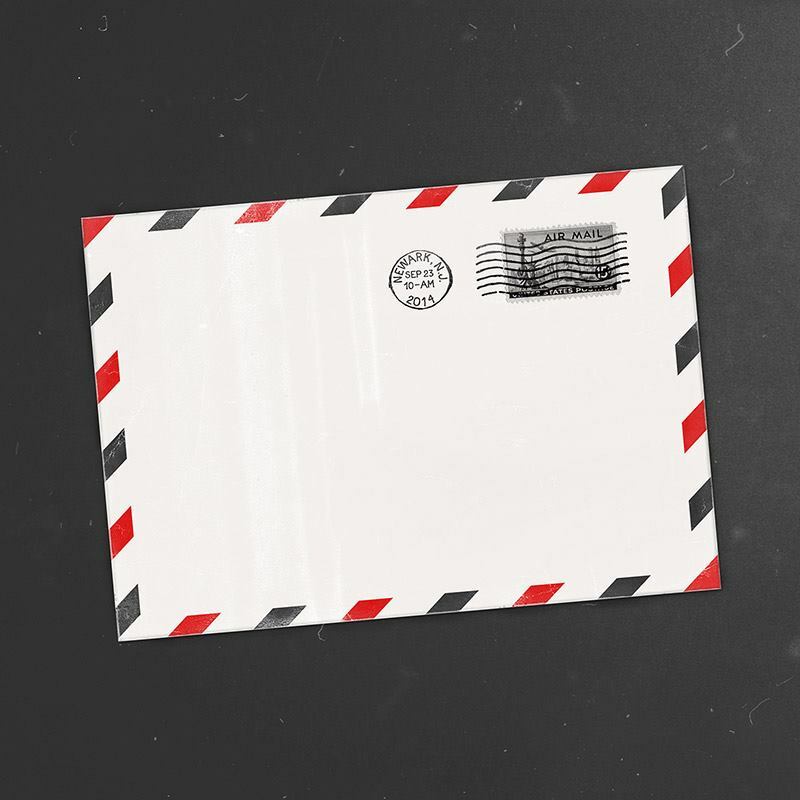 With the graphic above and below (mail with postage, get it? ), and the track’s obvious sound-allusions, Hemsworth makes obvious the influence of The Postal Service. And yet, he delivers something all his own on the track. Snow In Newark features Chicago’s Dawn Golden. Listen to the track below, and to hear more of Hemsworth’s worthy work, go HERE and let fly. We have quickly become huge fans of Hurray for the Riff Raff. This has been a notable week of vignettes by and for HFTRR, including yet another winning set at KEXP (check out the second video below of the band recently performing Little Black Star) and the band’s performance of Hank Williams’ Lovesick Blues at the Albino Skunk Music Festival (see at bottom). Of particular note, though, was HFTRR’s release of Everybody Knows (For Trayvon Martin). Though written quite a while ago, the band never released the song until now. Following the death of Michael Brown in Ferguson, Missouri, however, leader Alynda Lee Segarra decided to release the the track. This is not the first time Segarra and band have tackled social issues head-on. On their album, Small Town Heroes, the band released The Body Electric, a song rightfully and artfully decrying violence against women. Segarra has gone on to establish The Body Electric Fund. The group has recently begun an IndieGogo campaign to fund a video for The Body Electric and to help raise funds for both The Trayvon Martin Foundation and the Third Wave Fund. 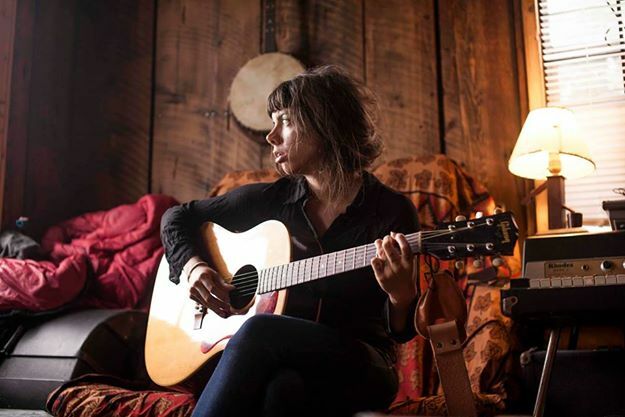 Check ’em all out below, and we’ll see you at the Hardly Strictly Bluegrass Festival next weekend where HFTRR will next play on Friday, October 3rd..
A reliable little bird brought us Bonobo initially in the form of their astonishingly great cut Cirrus. And now we are bona fide Bonobo fans. While taking the world by storm, the group (led by Simon Green) pulled together and will soon release a concert DVD entitled The North Borders (the name of their superb 2013 album). To get a sample, check out the tease of the band (with full orchestra and horn section) performing Kiara in Croatia below. After, check out the DVD trailer. As you can see HERE, Bonobo is on tour will make its way to California in late October. Be there. 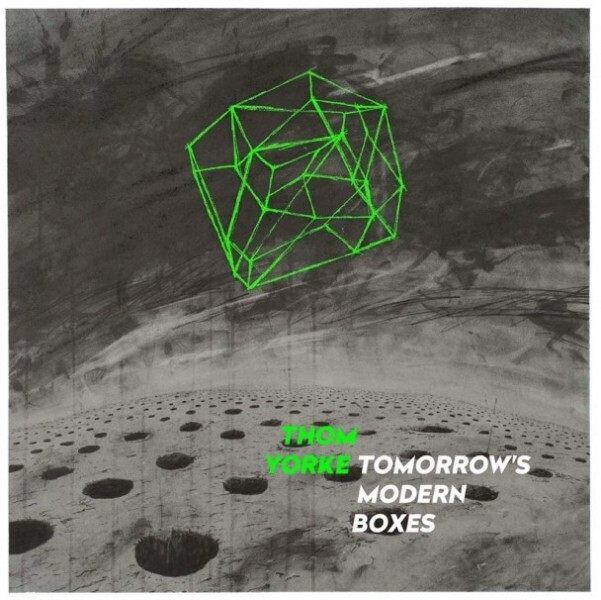 “Tomorrow’s Modern Boxes is a new eight-track record from Thom Yorke. The files can be anything, but in this case is an ’album’. The torrent mechanism does not require any server uploading or hosting costs or ’cloud’ malarkey. Amen to all that! You can purchase now at tomorrowsmodernboxes.com. In the meantime, stream brilliant new track A Brain In A Bottle and watch its video below. It’s been a great week in Tweedy land. 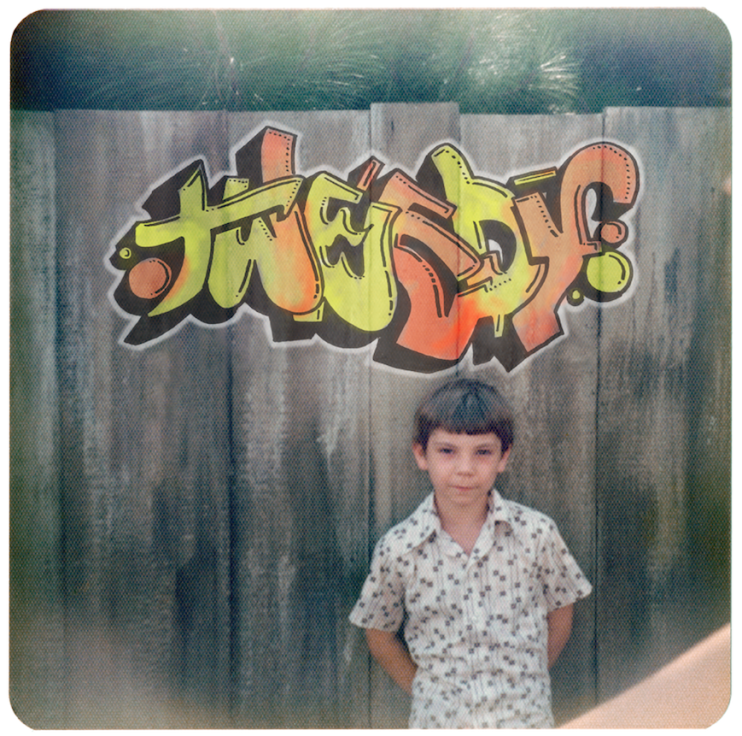 Critics and fans are going bananas for the new Tweedy album Sukierae (Jeff Tweedy album-title mischievousness if there ever was–let’s see you close your eyes and spell it). Today the father-son duo released the Official Video for track Low Key off of the album produced by the zany Nick Offerman. 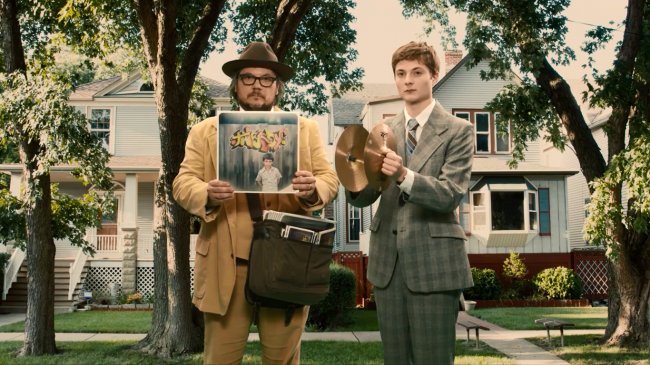 The video features John Hodgman, “General Zod,” Chance, Mavis Staples, and the “Littlest Tweedy,” “Glenn Wilcodrums,” “‘Chicago Way’ Albini,” “Conan O’Richter” (the last three as dubbed by Hodgman), plus the Tweedy duo. The video is so acerbic and cute, it’ll drive you bananas. Not to mention Low Key is a great tune and song. Enjoy. Like many, we are suckers for the songwriting of Jeff Tweedy (Wilco, etc.). Tweedy’s new father-son ensemble Tweedy released its initial album, the critically-acclaimed (natch) Sukierae, on Tuesday and celebrated with a release show at the Brooklyn Academy Of Music. The relateds were backed by their touring band (Jim Elkington, Darin Gray, and Liam Cunningham. Jess Wolfe and Holly Laessig of Lucius), along with Wilco guitarist Nels Cline who came out for the encore. Père Tweedy also performed solo at times. The setlist (holy setlist! !–see below) also included Wilco and Uncle Tupelo songs. The first song, Nobody Dies Anymore, is worth the price of admission alone and a purchase of Sukierae HERE. We first heard trending Londoner Kwabs this summer on Later with Jools Holland in a commanding performance of his encouraging track Wrong Or Right (you can only watch the mesmerizing Official Video for the song at bottom since we can’t share the flipping BBC’s Holland-show vignette–the BBC will allow every citizen on the planet to watch Jools’ videos EXCEPT Americans–what the sailboat??!!). We love Kwabs’ compassionate lyrics combined with his instantly-catchy melodies. And the dude can sing! Today comes another great live performance by Kwabs that was thankfully captured well by La Blogothèque (BBC? Cha! Ya vex I!). 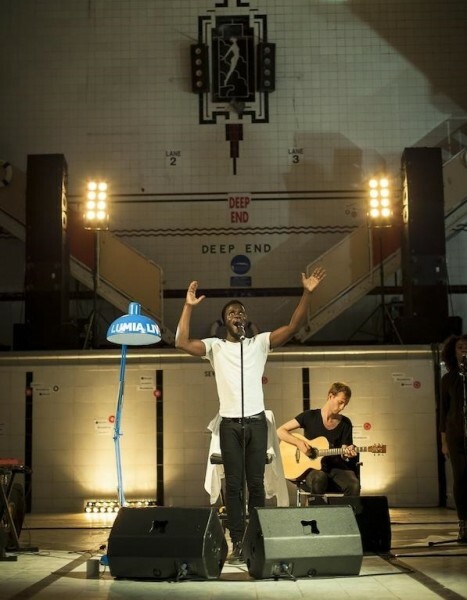 Watch below as Kwabs performs his superb new single Walk (hereby, our Song of the Week) for LumiaLive down in the Deep End of the Chadderton Baths in Manchester. Afterwards check out the just-released Official Videos for Walk, Pray For Love and Wrong Or Right. It won’t be long before Kwabs is commonly revered. And deservedly so. 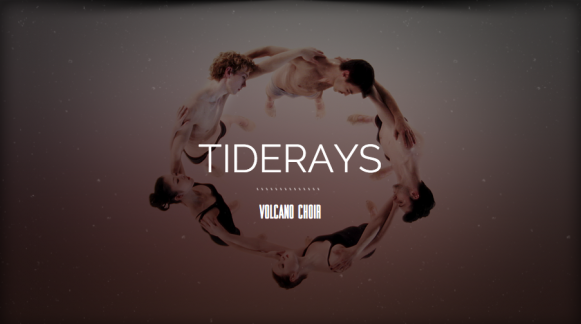 Volcano Choir has today released a new official video for great track Tiderays off of 2013′s Repave, our No. 3 Best Album of 2013. The video, created as part of the 551 Project, was directed by Kyle Buckley & Andi Woodward and features dancers from the Milwaukee Ballet. Simply beautiful. What a treasure trove. These past few weeks have seen an embarrassment of Elbow riches. 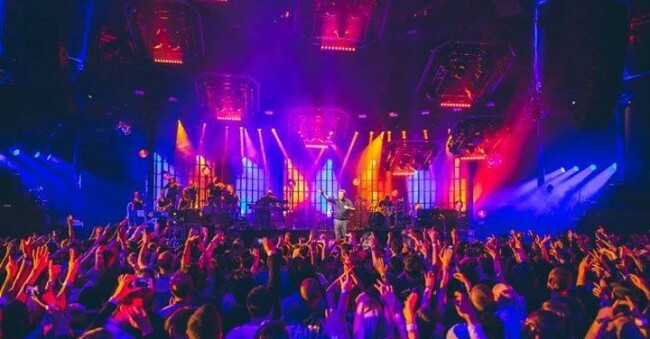 First, the band’s appearance at the iTunes Festival in Camden was made available for viewing (until October 31st, you can go HERE). And now the band’s entire set at Eden Project in Cornwall is available for viewing courtesy of Eden Sessions. Check a few particular gems out below and then watch the entire set performed in the magical venue. Outstanding. 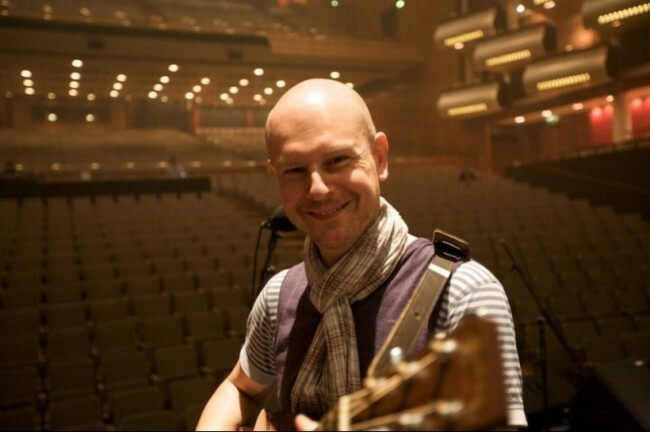 In the meantime in Comparatively Concrete News, Radiohead’s drummer Phil Selway has released two tracks from his impending album Weatherhouse. While nothing can touch the loft of Radiohead’s output, Selway acquits himself incredibly well on the tracks Coming Up For Air and This Will End In Tears (oh, the uplift). Check out the videos for both and below them the better-sounding audio tracks after. Bring on Weatherhouse (before that white, roundish blob does what it has to do)! !